Feisal Abdul Rauf, the leader of the Ground Zero Mosque effort, filed a false federal tax form when he created the Cordoba Initiative, claiming that group had no ties to any other organization although Rauf and his wife led another nonprofit that shared the same directors. On June 14, 2004, IRS records show, the executive director of The Cordoba Initiative, the Rauf-led group that is pushing the effort to build the mosque and community center near the site of the 9/11 attacks, filed an application seeking nonprofit status for Cordoba. In that form, executive director John Bennett said that Cordoba was not "the outgrowth of (or successor to) another organization" and did not have "a special relationship with another organization by reason of interlocking directorates." However, by June 2004, Rauf and his wife, Daisy Khan, had run what is now called the American Society for Muslim Advancement (ASMA) for seven years, federal and New York records show. Incorporation papers for ASMA filed with the state of New York in 1997 list Rauf and Khan as the group's president and secretary, respectively. ASMA was granted church status by the IRS a year later after the group filed another form that listed Rauf as its leader. Khan is now ASMA's executive director, according to the group's website, and Rauf is listed as its founder. ASMA and Cordoba each have interfaith outreach as part of their missions. ASMA is "dedicated to strengthening an authentic expression of Islam" through collaboration and by empowering women and young people. Cordoba serves as Rauf's outreach arm and engages in interfaith dialogue and related outreach programs. The Cordoba tax document, known as a 1023 form, also was checked "no" in answer to another question: "Is the organization financially accountable to any other organization." But that assertion is contradicted by a 2009 financial statement found on ASMA's website that says "ASMA is acting as a fiscal agent and is developing Cordoba's ability to function independently." The applications for non-profit status are signed under the penalty of perjury. But the IRS rarely pursues cases of false statements because it lacks the resources to do so, said Bruce Hopkins, a tax law expert and senior partner at the law firm Polsinelli Shughart. Organizations seeking federal approval to operate as nonprofit groups free from the need to pay taxes must file the 1023 form. Along with answering questions about ties to other groups, the leaders of the prospective nonprofit must also outline their planned activities. Cordoba's leaders said they would spend about 60% of their money in 2004 and 2005 developing and running a series of "dialogues" that would "explore new approaches to peace in the Middle East" and be aimed at "improving relations between the United States and Muslim nations and strengthening democratic institutions within Middle Eastern nations." 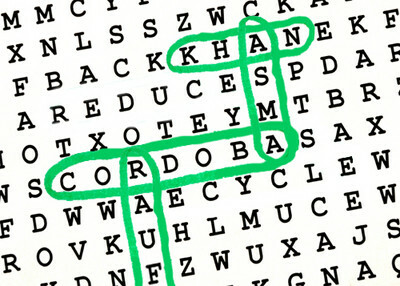 The June 2004 form listed Rauf as Cordoba's director and board chairman, while Khan was named as a director. Bennett, a former mayor of Aspen, Colo., was named as executive director and a board member. Cordoba officials reported in the 2004 form that they planned to bring in $1.1 million between 2004 and 2006 to pay for their various programs. However, Cordoba's tax filings for those years show it collected only $80,000 in that period. ASMA's 1998 form seeking religious "church" status said the group was conducting services five times a day for between 450 and 500 people in a New York City apartment building that has no room for such services. That building at 201 W. 85th St., happens to be where Khan has a one-bedroom apartment. Khan's apartment address was given as ASMA's office on the form and was also listed on the original Cordoba articles of incorporation. ASMA said in 1998 that it planned to build a mosque to hold up to 1,000 worshipers. So far, however, that has not been built, and ASMA's website includes no references to the group conducting religious services. Rauf has been the imam for a lower Manhattan mosque, Masjid al-Farah, since 1983, but that mosque has no affiliation with ASMA. Rauf now says he plans to raise $100 million for the Ground Zero Mosque. Donations to Cordoba that were reported by two charitable foundations were not reported in Cordoba's tax filings, records show. Between 2006 and 2008, the Rye, N.Y.-based Deak Family Foundation reported that it gave Cordoba $98,000. Cordoba didn't report those donations in its tax filings. The William and Mary Greve Foundation of New York said it gave Cordoba $37,000 in 2007; that contribution was also not reported by Cordoba. R. Leslie Deak, the director of the Deak Family Foundation, told IPT that his group's donations to Cordoba were given through ASMA. That's another sign of the financial connection between ASMA and Cordoba that is not reflected in Cordoba's 2004 IRS filing. Cordoba did not report any money from ASMA in its tax filings between 2005 and 2008. Because it has church status, ASMA is not required to pay federal taxes or report where its money comes from or how it spends it. That includes the salaries paid to any of its officials or board members, such as Rauf or Khan. There's no clear benefit to withholding information about ASMA on Cordoba's IRS application, Hopkins said. Still, "It makes the application easier" if the answer to those questions is no. That's because "the IRS wouldn't have to investigate the affairs of the other entity" if the Cordoba disclosed its connection to ASMA, Hopkins said. If ASMA hadn't followed through on many of its 1998 promises, such a review would have been unwelcome. "There's nothing wrong with having an affiliation or interlocking directorates. But, acknowledging those are out there could prompt scrutiny of their activities." Rauf, Khan and Sharif el-Gamal, the developer who owns the land where the Ground Zero Mosque could be built, have said they will create another nonprofit group to coordinate the mosque's finances. If that group gets nonprofit status, it will not be required to disclose its contributors. If the group receives church status, it will not have to disclose even its donors. So now that Rauf is exposed as having committed illegal acts, wlll the Obama Administration that embraces him so fully as to send him as an envoy to the Middle East prosecute? Do I detect a double standard under the law for insiders and everyone else?